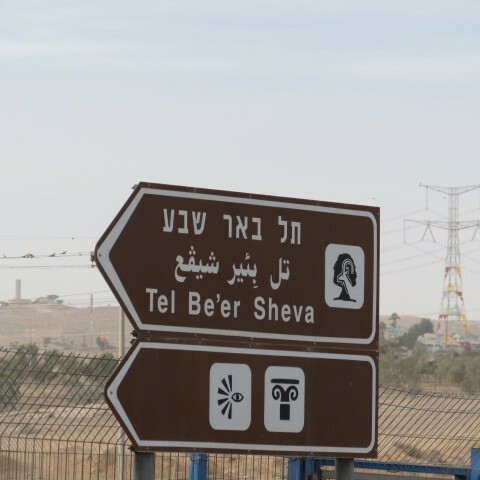 Is this Tel Sheva or Tel Beer Sheva? 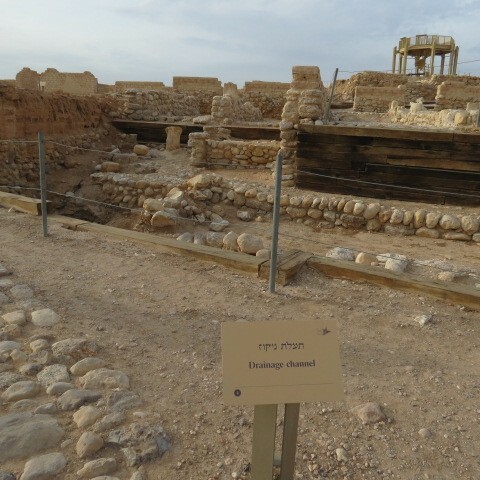 According to our guide, Ofir Jacobson, Tel Be’er Sheva is to be found in the modern, downtown city of Be’er Sheva, buried underneath the Bedouin market, therefore the correct name of the archaeological site near the Bedouin City of Tel Sheva is “Tel Sheva”. 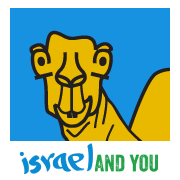 Unfortunately the Israeli Nature and Parks Authority thinks otherwise. 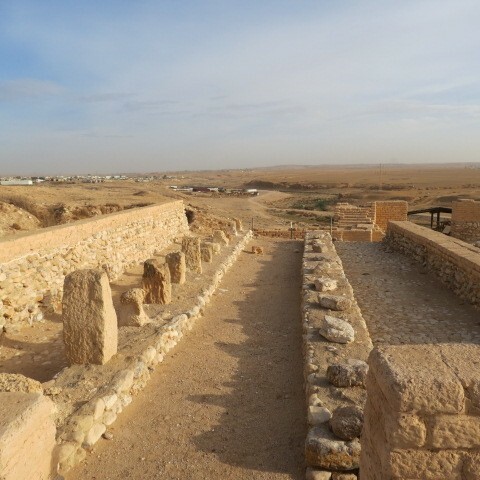 Tel Beer Sheva National Park is located east of the modern city of Beer Sheva near the communities of Omer and the Bedouin City of Tel Sheva. 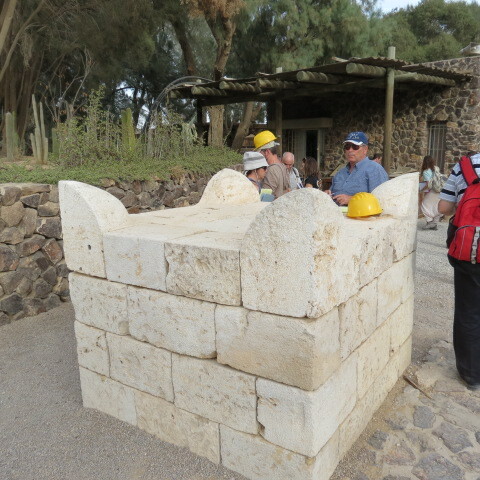 The mound represents an urban ruling center from the biblical period in the southern part of the country, where excavations revealed a system of walls and gates along with public and residential buildings, a storehouse, water systems and more. 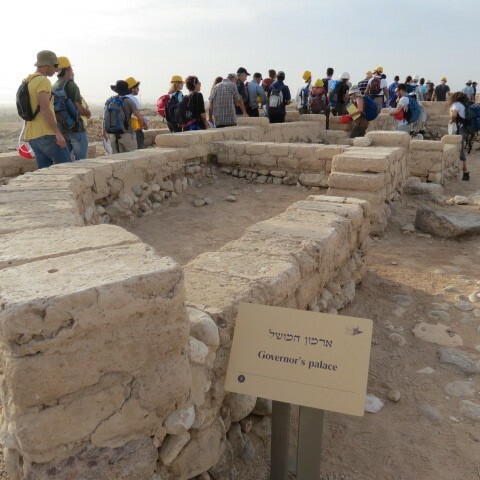 Tel Beer Sheva was declared a national park in 1986, covering a total area of 180 dunams (about 44.5 acres). 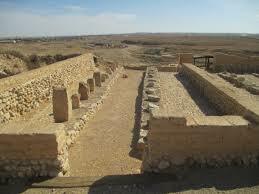 In 2005, UNESCO listed the biblical tels, including Tel Beer Sheva, as a World Heritage Site. 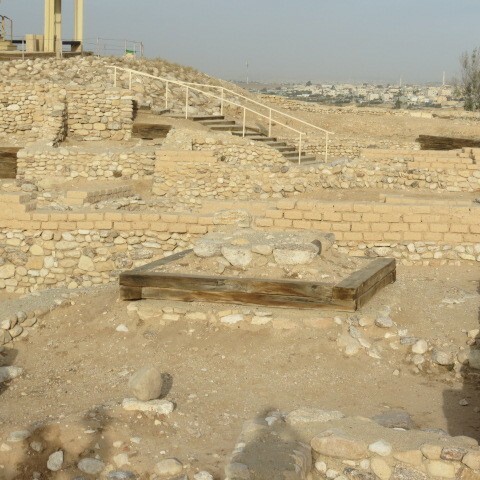 Remains of early settlement at Tel Beer Sheva attest to its habitation in the fourth millennium BCE (the Chalcolithic period). Finds from this period include sherds, although no architectural remains were found. 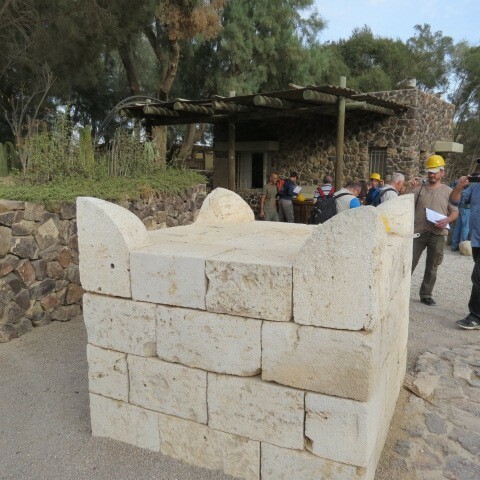 After a gap of more than 2,000 years, at the end of the second millennium BCE (the Iron Age, also known as the Israelite period) settlement on the mound was renewed. The mound was then continuously occupied for about 500 years. 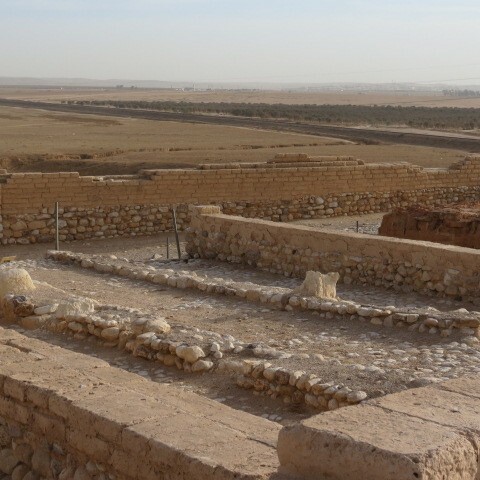 Excavators identified nine strata from this period, representing the stages in the building and destruction of the site. 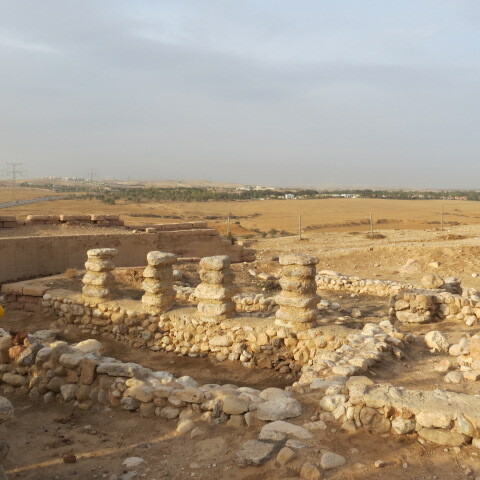 Archaeologists have uncovered two-thirds of a city dating from the early Israelite period (10th century BCE) at Tel Be’er Sheva in the Negev. The site is of unparalleled importance for the study of biblical-period urban planning, biblical history and its outstanding universal value. 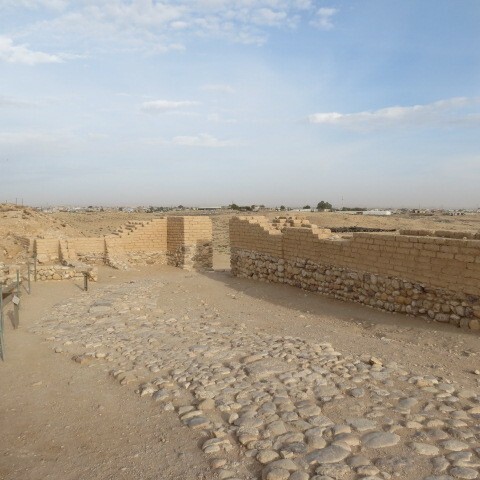 The streets of ancient Be’er Sheva are laid out in a grid, with separate areas for administrative, military, commercial and residential use. 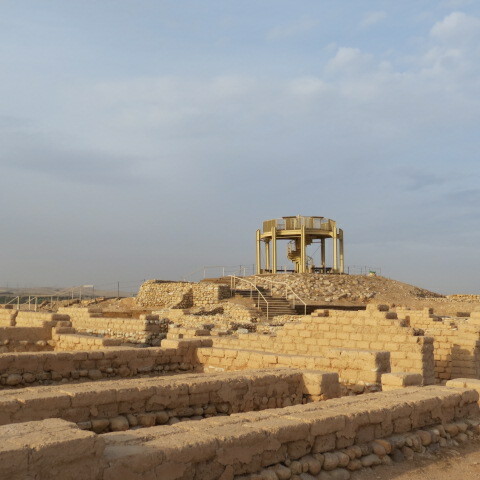 The town is regarded as the first planned settlement ( ancient urban planning) in the region. The site is also noteworthy for its elaborate water system and huge cistern, carved out of the rock beneath the town. 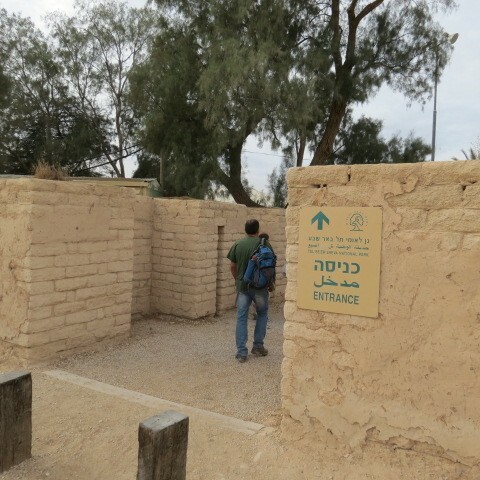 You’ll explore the city’s sophisticated water system and see a 70-meter-deep well – the deepest in the Negev. 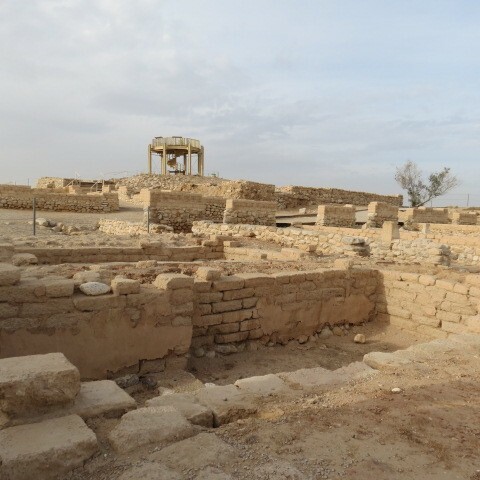 Several ancient buildings have been reconstructed using authentic mud-brick. Don’t forget your helmet! Hours: April-September 8 A.M.-5 P.M; October-March 8 A.M- 4 P.M.